It’s a simple fact that I’ve never had a bad meal at a restaurant that’s housed in a Kimpton Hotel. I’ve also never had two meals that even remotely resembled each other. That’s because Kimpton restaurants are idiosyncratic, chef-run affairs serving local ingredients cooked in a wide range of styles. They also tend to be both stylish and low-key, making them a great place to bring the kids for a nice meal out that everyone can enjoy. 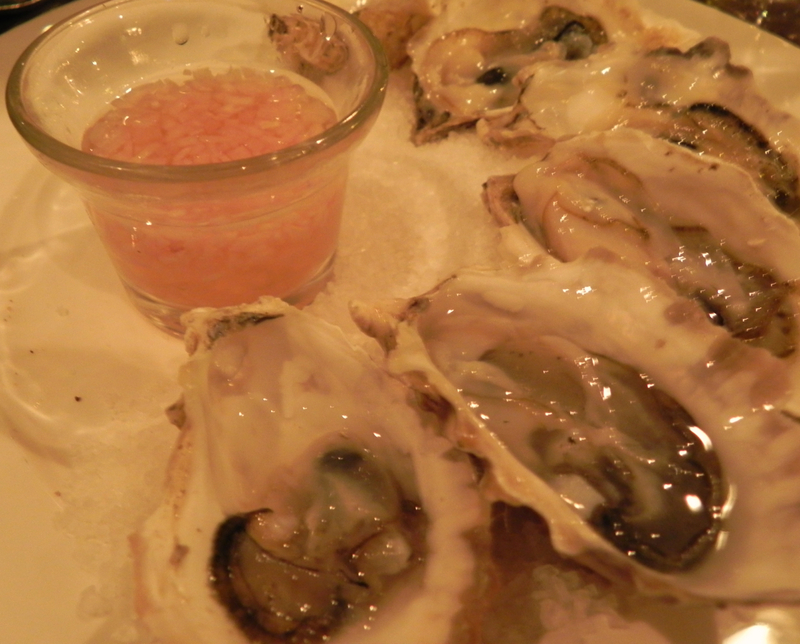 My latest proof that this is true was the dinner I enjoyed at Pazzo Ristorante. 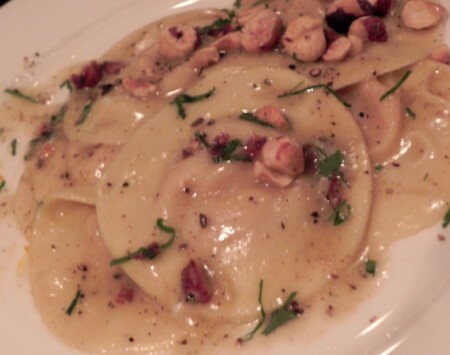 Located in the Kimpton Vintage Plaza Hotel in Portland, Oregon, Pazzo offers beautiful food in a family-friendly atmosphere. 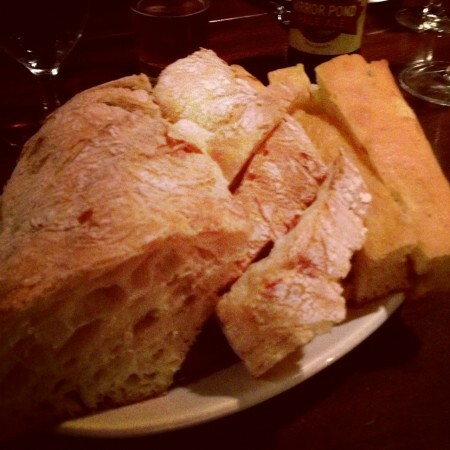 I’m a believer that you can tell a lot about a restaurant by tasting its bread, which at Pazzo is baked at the Pazzoria Bakery next door. Chewy, dense, and served with fruity olive oil, I had to restrain myself from eating so much that I didn’t have room for the rest of my meal. The menu at Pazzo is Italian (the chef trained under Mario Batali) with a focus on local ingredients and pasta. I decided to sample the best of both worlds, starting with plump Northwest oysters. 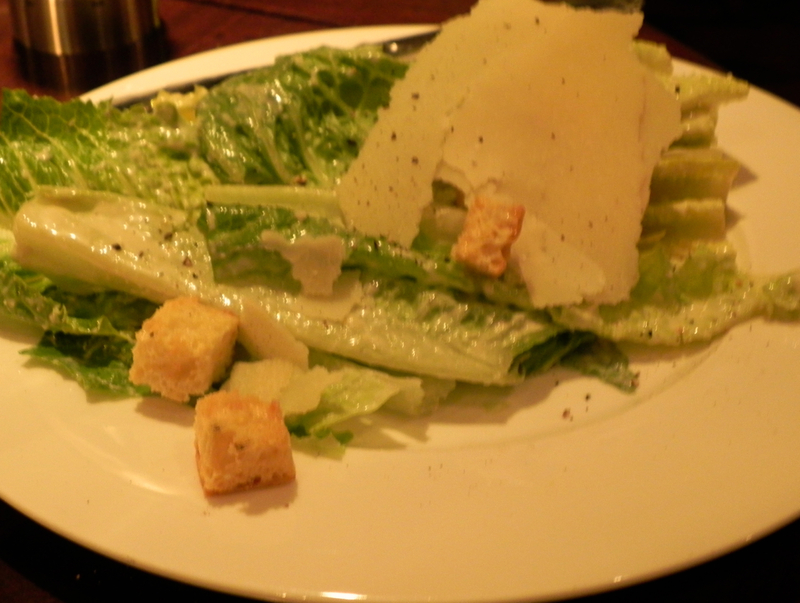 Other first course options include a lovely list of salads, like this gorgeous take on the classic Caesar – called the Natalino, it has anchovy dressing and a generous portion of reggiano parmesan. 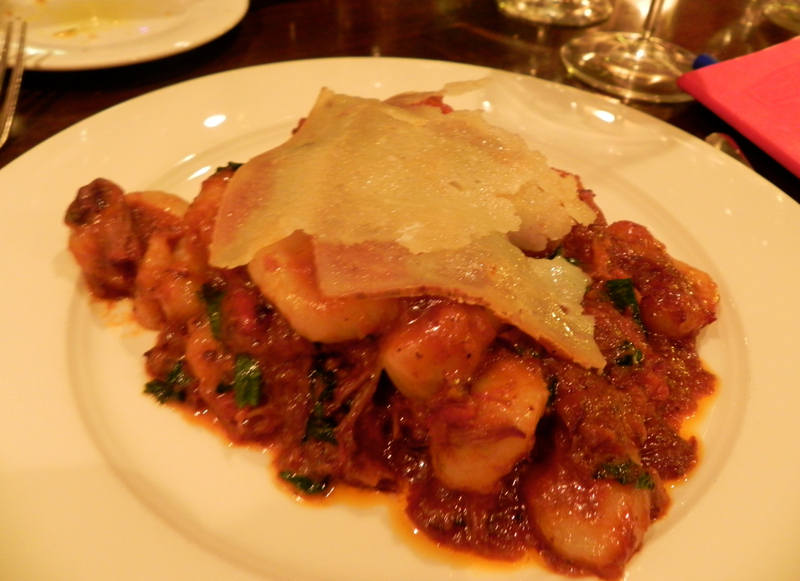 My second course was more traditionally Italian – pillowy gnocchi with a salty lamb ragu. I was quite pleased with my choice, even if I did keep eyeing my friend’s butternut ravioli topped with truffle butter and local hazelnuts. And if you prefer to go more paleo than pasta, Pazzo has you covered with everything from a grilled ribeye to a veal chop, all served with seasonal heirloom vegetables. I didn’t think I’d have room for dessert (What? Stop laughing!) 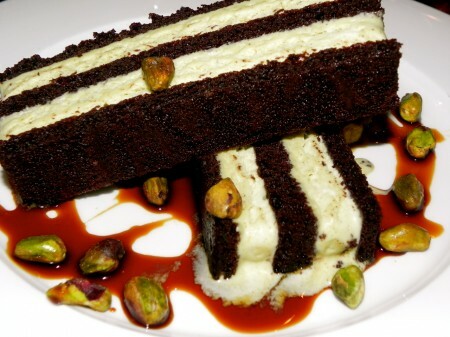 but somehow found myself ordering the semifreddo – pistachio gelato layered between dense chocolate cake. The sauce you see in the picture is fig syrup, which added yet another complex flavor that was absolutely delicious with the pistachios. The service at Pazzo was warm and unpretentious, and although we didn’t have any children in attendance at our meal, I feel confident that they would be welcome here. I’d call the atmosphere casually elegant, with comfy chairs, dark woodwork, and an open, red brick kitchen at the back. After you’re finished eating, take the kids and wander through the Vintage Plaza lobby (or “living room” as they tend to be called in Kimpton hotels). 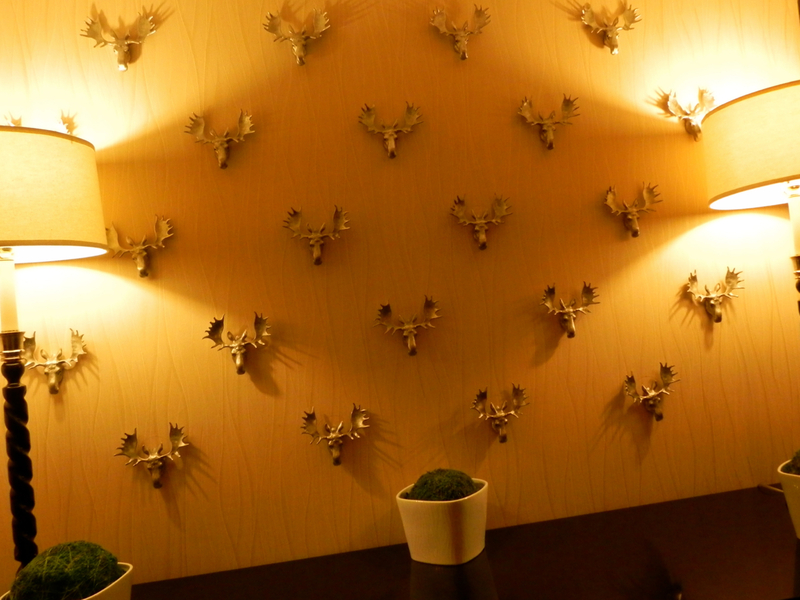 With its room-by-room tribute to local vineyards, the hotel is themed more for grownups (nearby Hotel Monaco or RiverPlace Hotel are the Kimpton properties that really cater to families in Portland). But children will enjoy checking out the lobby’s wall of moose heads and high ceiling. Pazzo serves breakfast, lunch, and dinner, as well as brunch on the weekends. And I didn’t get to sample the pastries, coffee, or sandwiches at Pazzoria next door, but after my dinner at Pazzo, I feel confident that this would make a great place for breakfast, lunch, or a snack if you’re exploring downtown Portland. In fact, I’m quite comfortable making this blanket recommendation: Enjoy family meals with confidence in any Kimpton restaurant. If I were in a city with a Kimpton hotel and was casting about for a place to eat, these restaurants would be my go-to. Pazzo Ristorante treated my blogging friends and me to this fabulous meal (thank you!) but my opinions are my own. You can always count on me to tell you when I’ve received something for free.